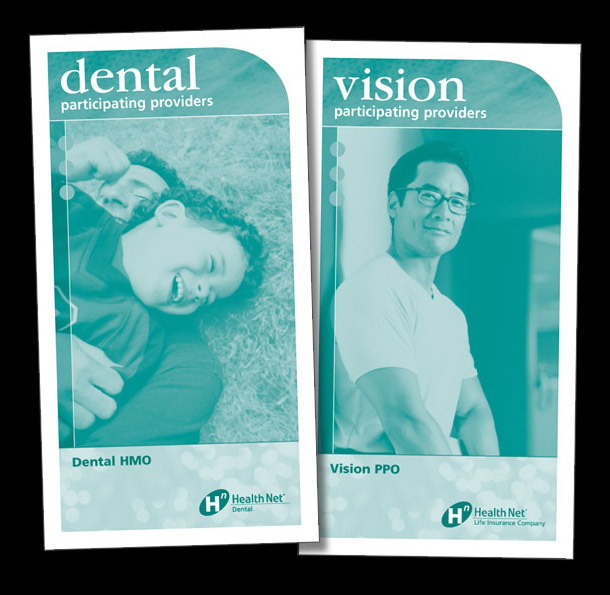 The healthcare client requested low-cost booklet covers – no bleeds, one color – to contain logo, colors, and fonts while retaining a visually appealing appearance. Two finished covers shown. Original designs with stock photos, per client type and color specs.